There’s nothing worse than having a bad hair day – unless you have a beard. A bad beard day is bad for your appearance, self-esteem, and beard. Ordinarily curly locks of hair are considered attractive and give the impression of youth and health. Not only that, but men who have curly beards are blessed with a choice to keep their beard curly or straighten it out. Men with straight beards never get this benefit. Besides, curly beards look thicker and more luxurious than straight ones. However, with that same thickness come also a few problems, such as tangles, texture, and hygiene. When those curly locks of hair are growing out of your face, it’s a different story. When a naturally coarse beard hair curls up you can end up with a messy mass of hair. There many different kinds of beard hair and some hair textures are naturally hard to manage. Like it’s already said, having a curly beard comes with a set of problems. Curly beards need more time to grow longer than straight beards. Although every beard grows half an inch per month, the trouble with a curly beard is that it grows in a loop. 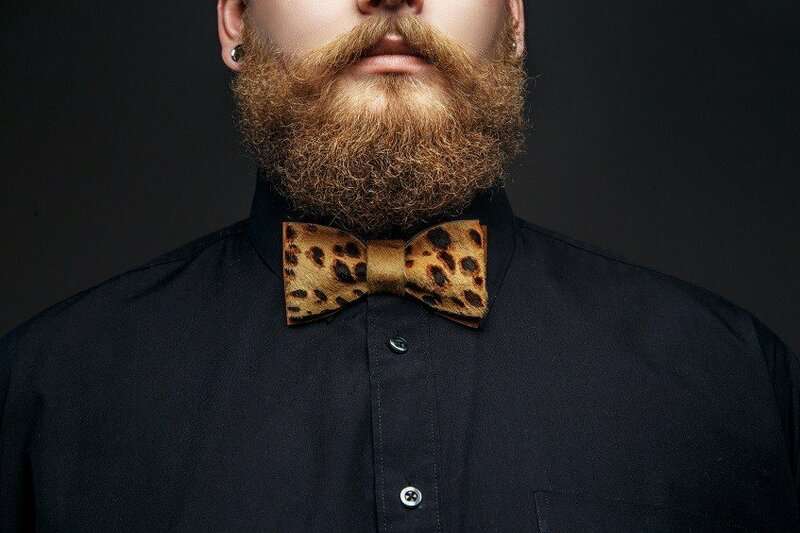 By the time a curly beard grows half a foot long, a straight beard will be three times longer than that. That being said, while a straight beard just keeps on growing downwards, a curly beard will continue to grow in like spiral springs, and thus appear to be shorter. 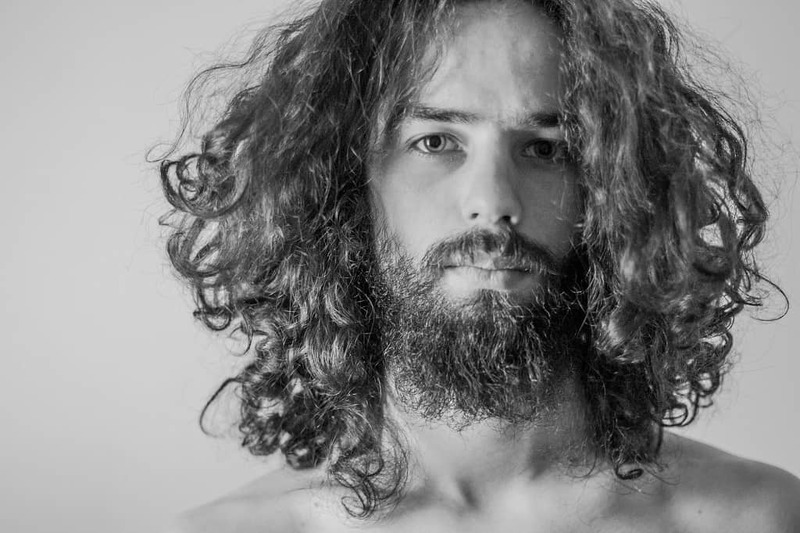 Besides the length, tangles and knots are another problem men with curly beards face. The thicker and coarser your beard is, the more problems you will have with the tangles. This happens when some of the facial hairs grow into other hairs. Knots and tangles tend to create a problem when you try to apply beard oil, making it almost impossible to spread the oil evenly. Using beard comb or brush to detangle the knots may also cause damage to your beard if done aggressively. As a consequence, not being able to comb your beard correctly, your curly facial hair can become rough and develop split ends. Finally, curly beards can transfer all of the bacteria, dirt, and germs from your beard to your skin easier because they keep more hairs closer to your face. As a result, you can experience acne, pimples, and blackheads. Knowing all these downsides of curly beards is important because it shows that you have to learn how to take proper care of it. Once you get the hang of it, you will enjoy all the benefits that come with a curly beard. 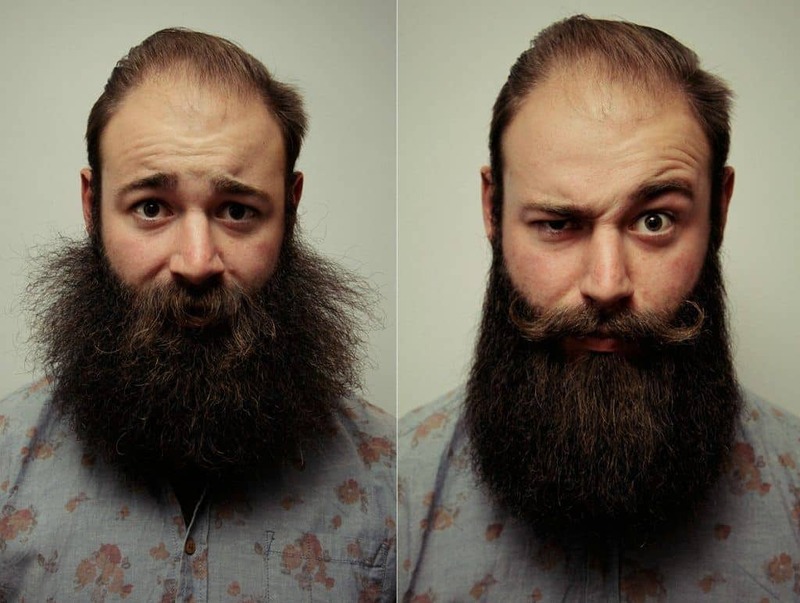 Whether your beard grows in straight or curly depends on the shape of your follicles. Symmetrical hair follicles will sprout straight hair that lays flat. If the hair follicle is asymmetrical, it will grow an oval-shaped hair shaft that will increasingly curl the longer it gets. Even symmetrical hair follicles can grow curly hair if the hair shaft has an uneven distribution of a particular type of keratin. Another common reason for a curly, unruly beard is the dryness. When your beard is dry and damaged, it will stiffen, and soon get curly. Dryness is mainly caused when you wash your beard with regular, too harsh shampoos that strip your facial hair of its natural oils. Unless necessary, the beard should be washed no more than three times a week with a specialized, beard shampoo. Men new to beard growing usually think that the more is the merrier when it comes to using shampoo on the beard. That’s why they make a mistake and use shampoo too often, risking to damage their beard. Unlike shampoo, beard oil should be used almost every day. It’s the best to apply it during your shower because that way it will put moisture back into your dry beard. Poor hygiene and dehydration can also lead to dry facial hair. Men like to touch and stroke their beards, but when this is done with dirty hands, there is a potential problem for your beard. Add to this food and drinks that often get stuck in the beard, and you can expect your facial hair to become unhealthy. More dirt in your beard makes it harder to comb it, and the result is a rough, rugged and curly beard. If you want your beard to look better, pay more attention to hygiene. Not taking enough water leads to dehydration. Proportionally, dehydration makes your beard and skin dry. To avoid your beard becoming dry and therefore curly, make sure you are drinking an optimal amount of water daily to moisturize your facial hair and prevent the dryness. Despite all the problems that come with a curly beard, some men still find it more attractive than a straight beard and decide to keep it. In that case, it’s worth mentioning that taking care of a curly beard can be challenging, but not impossible. Arm yourself with patience and the right products, and you are good to go. Beard shampoo, conditioner, oil, and balm are inevitable in keeping your curly beard clean and hydrated. This goes for all beards, but especially for curly ones. 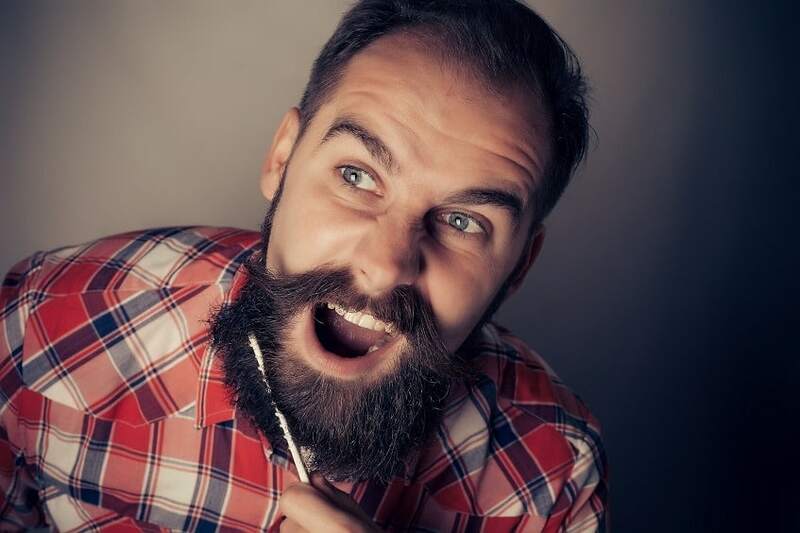 Curly facial hair is more close to your skin, which means that all of the bacteria, oil buildups and dirt caught into your beard are closer to your skin too. Getting rid of all these things requires shampooing and conditioning your curly beard at least three times a week. Beard oil/balm should be used daily, as they will smooth and help you tame your curly beard better. 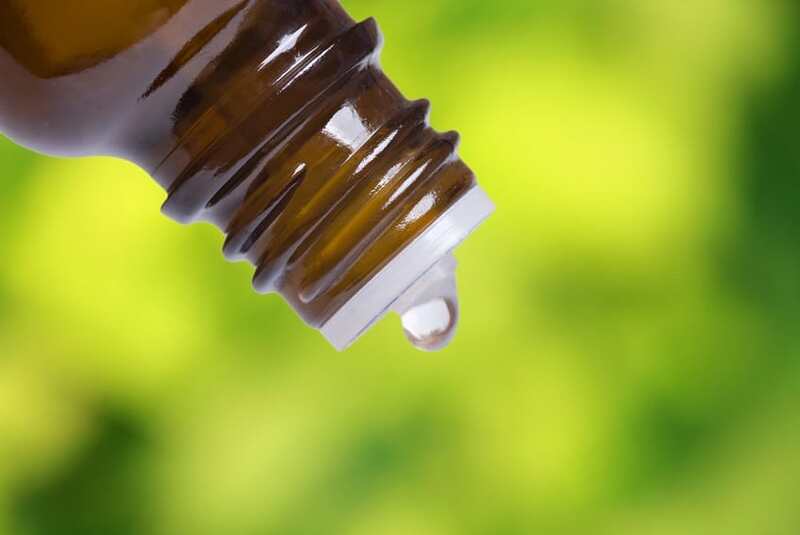 Beard oil is also particularly helpful in making your beard easier to comb and brush. While at it, it is worthwhile mentioning that men with curly beards need to have a good beard comb or brush in their arsenal of beard care products to detangle the knots that often happen when you have this type of beard. A wide-tooth beard comb is the best choice for curly beards, while a boar bristle brush will tame and smooth the frizz, without ripping out your facial hair or irritating the skin. Don’t use plastic combs or regular brushes because they can damage your beard. For the best results, comb your curly beard once a day, and brush it one to two times a day. It may sound odd at first because you will wash the beard in the morning. But by repeating this action regularly, your beard will grow in the way you want it to. How About Straightening Your Beard? As you can see, styling a curly beard is not that hard with the right tools in hands. Some men, however, don’t want to deal with a curly beard and prefer to straighten it. 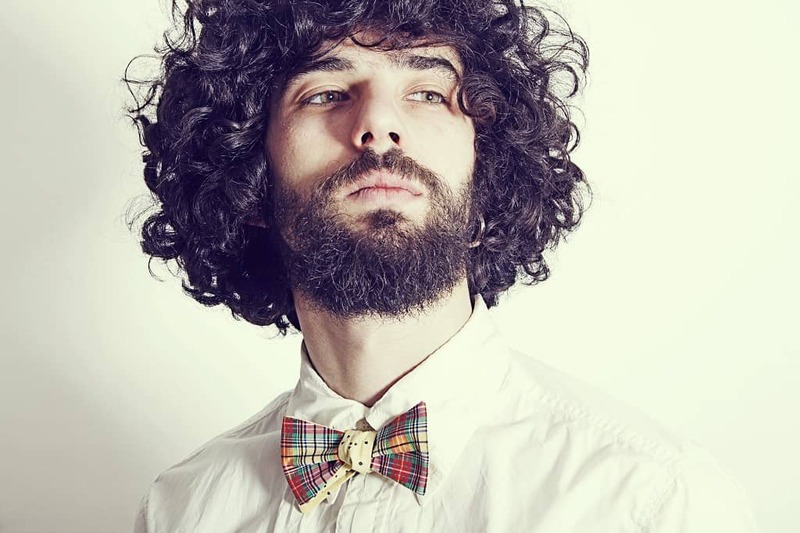 If your curly beard is hard to control straightening could be the best option for you. There are different methods to accomplish beard straightening; natural, chemical and mechanical. Every method involves relaxing the hair so that it will lay flatter and become more manageable. Naturally straightening your beard is a daily process. You’ll need to establish a routine of beard maintenance and stick with it. With diligence and care, your beard will remain straight throughout the day. The first step in the process is to lose the soap and shampoo. Beard hair is more apt to break and develop split ends. Facial hair needs gentle care to look its best. So say no to harsh soaps and shampoos. Wash your beard with a mild cleanser formulated for beards, and use beard hair conditioner afterward. 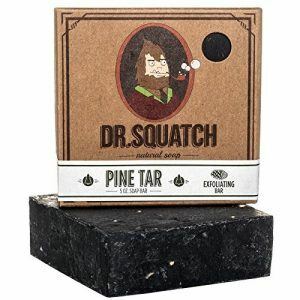 Dr. Squatch Pine Tar Soap made for beard use won’t strip away natural oils, and a beard conditioner won’t weigh down facial hair or give it a greasy feel. Wet hair is weaker than dry hair, and more easily damaged. Now we’re ready for the next step to a naturally straightened beard. Before you begin you’ll need three things; a quality beard-brush, a hair-dryer, and silicone cream (available in most drugstores). While your beard is still slightly damp from washing and conditioning, gently work in the silicone cream into your beard. Now use the beard-brush and blow dryer to groom and set your beard. Once the silicone cream sets in the hair will remain straighter for the rest of the day. Establish this morning routine, and you’ll have a well-groomed beard all day long. Beard balm is a good addition when it comes to keeping your beard straight all day because of its holding powers. The best choice are beard balms made with avocado and cocoa butter that make curly beards easier to straighten. There is another permanent solution to straighten your curly beard – beard relaxing cream. Beard relaxer doesn’t damage your beard because it is designed to fortify the beard while making it grow healthier. This product affects only the old growth of your beard. This being said, your beard will continue to grow curly. When this happens, after a few months you should apply the beard relaxer only to the new growth to straighten it. Don’t re-apply it to the old growth, because it will remain straightened. The only con of beard relaxing cream is that you have to combine it with the beard straightening iron in order to see the results. Wash the beard with the beard relaxing shampoo. With the use of disposable gloves, divide your facial hair into small sections and apply the beard relaxing cream to each beard section, while avoiding to get it on the skin. 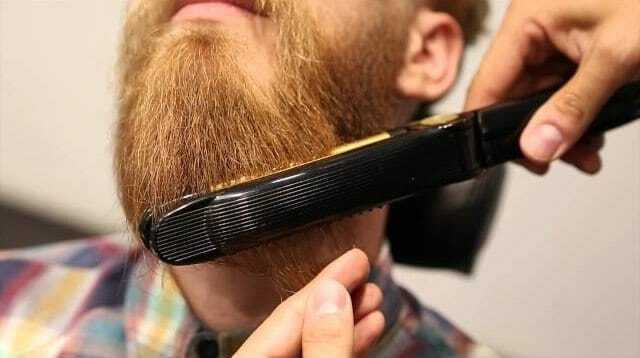 By using beard comb, spread it across your beard. After half an hour, rinse the beard relaxer out, but without shampooing your beard. Dry the beard with a blow-dryer, but don’t use the towel or else you will remove the cream. Straightening iron should be used after drying the beard to iron the curls out of it. Once done, use beard shampoo to wash out the beard relaxer, but repeat this action three times. After you do that, apply beard conditioner and leave it for 30 minutes, then rinse it out and towel dry your beard. 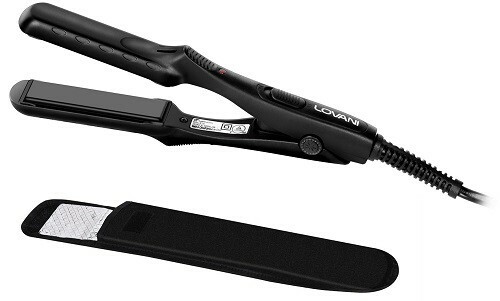 There is a range of products available to straighten hair. These products use harsh chemicals that can burn the skin and should only be handled by a professional. The skin of your face is delicate and easily damaged. Harsh chemicals and delicate skin do not go together. If you decide to straighten your beard chemically look for a competent hair professional, do not do this at home. If you don’t want the expense, risk or inconvenience of going to a salon to have your beard straightened, there are alternatives. If you have a truly wild mane that resists every attempt you make to tame it; you might have to turn up the heat. While it is true that a hot blow-dryer can turn soft hair into a brittle mess, there is a place for heat in beard grooming. A good hair straightening iron will quickly and efficiently control your beard. Make sure to pick up a mini-sized iron, as a regular one is just too big. While at showering, it’s essential to use a blow dryer to dry the beard, by taking already mentioned precautions not to damage or burn your facial hair. If you let your beard dry naturally, it will curl even more. That’s why you should first towel dry your beard, and then continue with a blow dryer while combing it along its length. A good brand of beard straightener with lots of positive reviews is the LOVANI Hair Straightener (Ceramic Mini). Is Beard Straightening Worth it? Everyone has their own ideas about personal style. For many men, a wild bushy beard is just what they like. But if you find excessively curly facial hair just too messy, or simply prefer the look of a straight, smooth beard then be prepared to work for it. 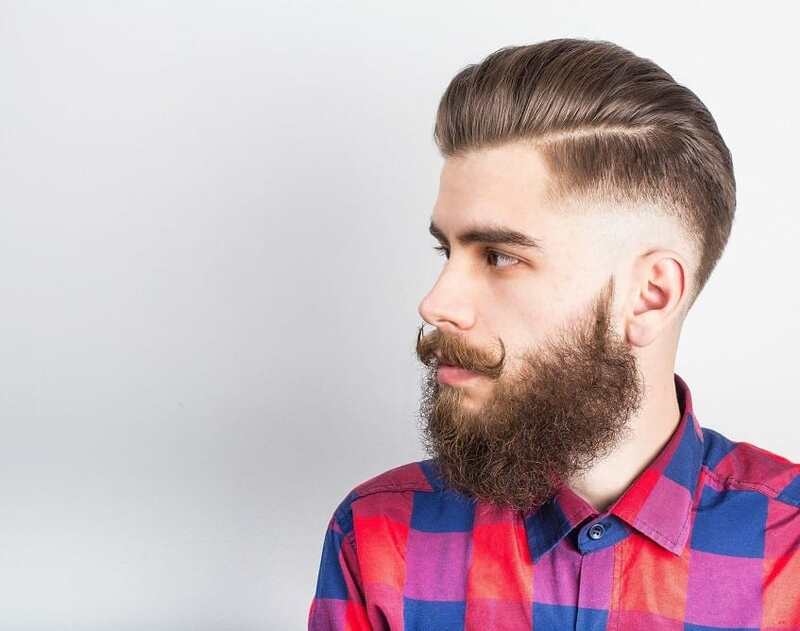 If you have a naturally curled beard, you will need to dedicate time every day to forcing your hair into shape while keeping your beard from suffering damage. If you’re ready to use the right products and methods regularly and are happiest with your beard straightened then go for it! Just be careful when using chemicals or hair straighteners to avoid burning your beard and skin. Whenever you can, choose to straighten your curly beard the natural way, without the heat. Beard straightening is no different than any other personal grooming habits you have. Beard straightening is worth it to look the way you think is best. Photos from: Ferenczi Gyorgy © 123RF.com, Vladimirs Poplavskis © 123RF.com and Михаил Белый © 123RF.com, mirabellart / depositphotos.com. Guys, always use only 100% nature and organic soaps. Huge difference!! Having a well-groomed beard can reflect your personality and boost your confidence. In every situation, looking good is always a positive thing. I recommend using natural soap and heat protection spray before using a hair straightener for your beard since it is more sensitive than regular hair. Silicones might not be the best thing to put in your beard. A beard balm with natural ingredients sounds more like it. How to my beard long… please tell me cream or oil.name..
Just a big thank you to those responsible for publishing this helpful article. Further, what would be useful, is an easier way to print off and/or save this type of article. Invariably, what I do, is to copy the whole lot into a Word doc and then tailor it from there. Failing that, I take screen shots.